You know it's been a long time since you worked out if you can't remember where you last saw your workout shoes or clothes for that matter. How about that old water bottle? Many of us have a huge list of good excuses reasons for why we stop a perfectly good workout routine and that's perfectly OK to do. After all, life does happen and sometimes it happens to interrupt whatever we have going on at the time. Most recently, the Holiday Season. A time to share, love, give, take, shop, bake, eat, eat, eat... I don't attempt to fool myself into thinking that I will be "good" during this time of year because I will not. I bake to give and so does everyone else, in the end I end up with a lot of goodies that can't be thrown away --hey I respect my neighbors and they are great bakers. No matter what you try to tell yourself, you will indulge in drinks, sweets, salty, deliciously fattening foods that you would not normally eat the rest of the year. I'm not a big fan of making resolutions because I feel sort of paralyzed after a few weeks. It's like I make this decision to do the best ever (lose weight, pay off debt, get organized, ha ha) and then if I can't meet that huge goal I feel like a complete failure and feeling like a failure makes me eat, shop, and then I become disorganized so it's sort of counterproductive. Instead I just jump right in and get started with what was working before or at least adjusting what wasn't working. I do my best at improving our lives but that's just something we should all strive to do all the time, not just on January 1st, every year for a few weeks. First - you need motivation. 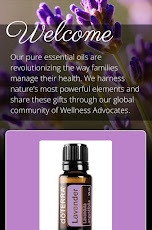 Only you can make the decision to start a wellness program and only you can determine the reason. To lose weight, to maintain weight, to be more active? for your kids? for your HEALTH? Whatever the reasons, write them down and let that be your motivation to START!. Second - gather up your gear & put it on the schedule. Get everything ready the night before - find that old gym bag and fill it up with a bottle of water, towel, exercise shoes and clothes. Be prepared and eliminate any potential pitt-falls. On your family or personal calendar, write your workout plans. Make this an appointment with yourself, your family or your friends. Would you miss your doctors appointment? NO. Then don't miss this one. Once you take a day off it will be easier to find reasons to take a second day and then a third, stop STOPPING so you don't have keep STARTING. Third - where are you going? are you going to the gym? calling a friend to join you on a walk? going for a run or bike ride? working out at home? Choose your activity. It really doesn't matter what activity you choose, but choose one and go with it. Be prepared to do that activity and several others throughout the week. Even when time is limited do something and write it down. A 15 minute walk or run is better then not doing anything at all. Fourth - Clean out your fridge and pantry. The last thing you need are temptations to ruin a good workout. You don't have to toss the goodies, although not having them is the best way to go, just tape up the boxes and bags and place them up high or low - you don't want those treats to be easily accessible. Load up on fresh or frozen fruits, vegetables, healthy snacks such as nuts and high fiber protein bars, good fat-free dairy and of course, water. Yes, plain old water. Keep the water bottles ready to go in the fridge or on your counter and drink water throughout the day. 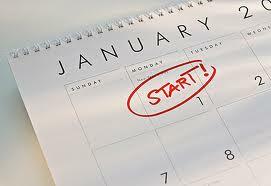 The first workout might be the hardest but it will be the beginning of a much healthier you in 2013!! What are your goals and how can I help you get started? I'll be back soon with some exercise tips you can do at home, with the kids, in the gym or on the road.